Home › News & Articles › Reports › International victory on Agen Yearling for Carlos & Xavier Vandemeulebroeck (St-Léger, BE) against 11.444 yearlings! International victory on Agen Yearling for Carlos & Xavier Vandemeulebroeck (St-Léger, BE) against 11.444 yearlings! A big sigh of relief: it was truly the feeling of Carlos Vandemeulebroeck & his son Xavier when their international victory was confirmed on Agen, one of the hardest international race of the last twenty years, mostly for the yearlings. Carlos (on the right) & Xavier Vandemeulebroeck can enjoy their international triumph. Thanks to the weather forecast released before Agen, everybody knew the race will be really tough. A good test that would allow the strongest pigeons to emerge with headwind on the entire flight and heat that is difficult to support even in the shade. Was it not too hard for our pigeons, especially for the yearlings? The marathon races just love this kind of conditions because they need pigeons of class able to go through the most difficult flying conditions. A tough selection is always usefull if you want to built a strong racing team, even if you don't loose only the bad pigeons. This being said, the 24.850 pigeons were released at 08 o'clock on friday morning, a late release due to the persistent fog in the area. The rest of the story is already know: a little bit less than a hundred of arrivals during the first day of flight and a hard but steady race the next day. In the yearlings category, the international winner arrived in St-Léger and it's a pigeon from Carlos & Xavier Vandemeulebroeck, two very enthusiasts long distance fancier who were not really unknow. They clocked their pigeon during the first day of flight at 21h29''14 for a distance of 777 kilometers, so an average speed of 961 m/minutes. 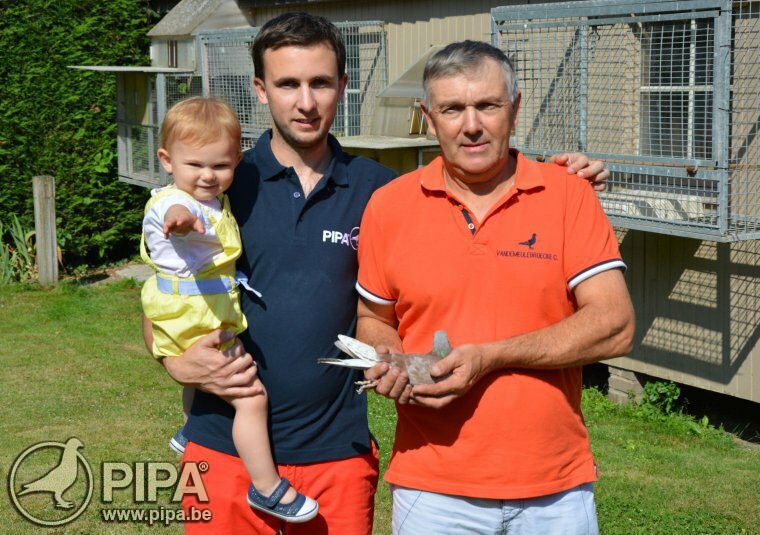 Father & son quickly understood that it will be a very early pigeon and they went on bed while remaining first on the preliminary ranking. It remained now to know if their curse would continue or if they could finally raise their arms to the skies for a well deserved victory. Their double victory (national & international) from last friday has been booked in very hard conditions and this victory is considered as a big consecration for Carlos & Xavier who just overcome the indian sign. They can now claim a superb balance of early prizes at national level with a.o. 1x 1st national & 3x 2nd national, performances who were always accomplished in the long distance races and this makes of them true specialists of this discipline. Moreover, the wait they had to face before the confirmation of their victory seems to have been prolific as father & son won the international victory and not only the belgian national. Raced on classic widowhood, the international winner flew this season Bourges national & Châteauroux national as a preparation. During his birth year, he gained some experience on Vierzon, Châteauroux national & Argenton national where he always won a prize. Before being put into the basket for Agen, he has seen his hen for about 10 minutes and it seems that it increased his motivation. Direct from the marathon specialist Henry Van Neste (Feluy), grandson of the 'Supercrack 210' (3x 5th national) but also of the 'Borgne' (2x top 130 national Barcelona). Excellent racing hen with a.o. 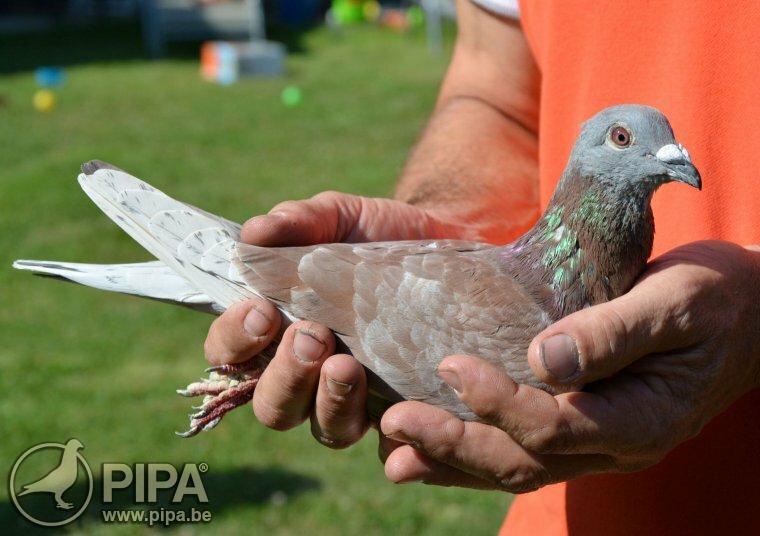 40th Bourges national 20.589 p. '12 & 46th Vierzon Iprov 6.257 pigeons. It's a full sister to 'Chelsea', 2nd national Narbonne from 7.027 yearlings in 2011. 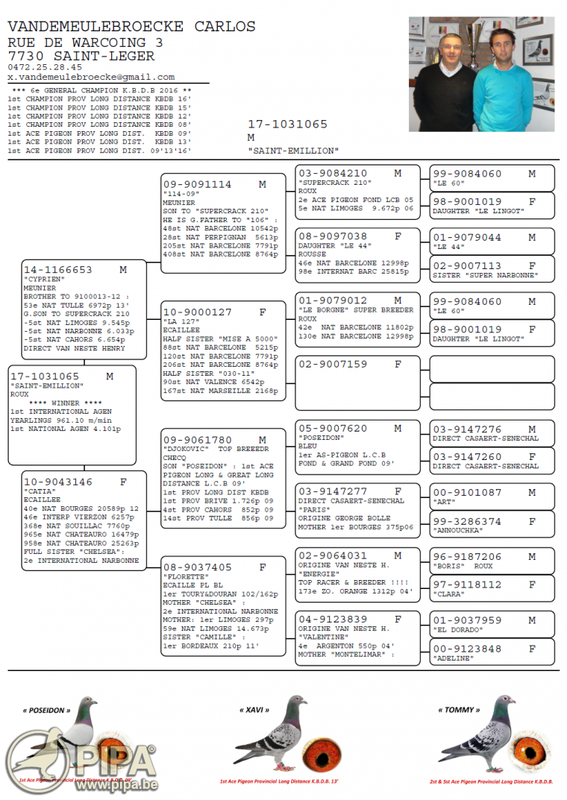 Click here to check the pedigree of the international winner. Carlos, Xavier, congratulations for this fantastic victory who will allow you to be free. Now, the opponents have been warned and they know that when it will be tough, their pigeons will be present. This is anyway what we wish you!